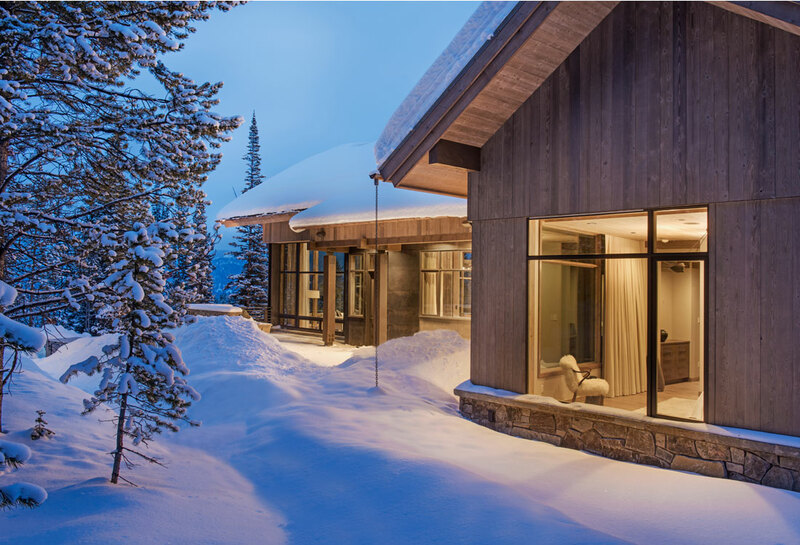 Centre Sky Architecture is excited about the completion of Peers Homestead, located within Spanish Peaks Mountain Club in Big Sky, Montana. 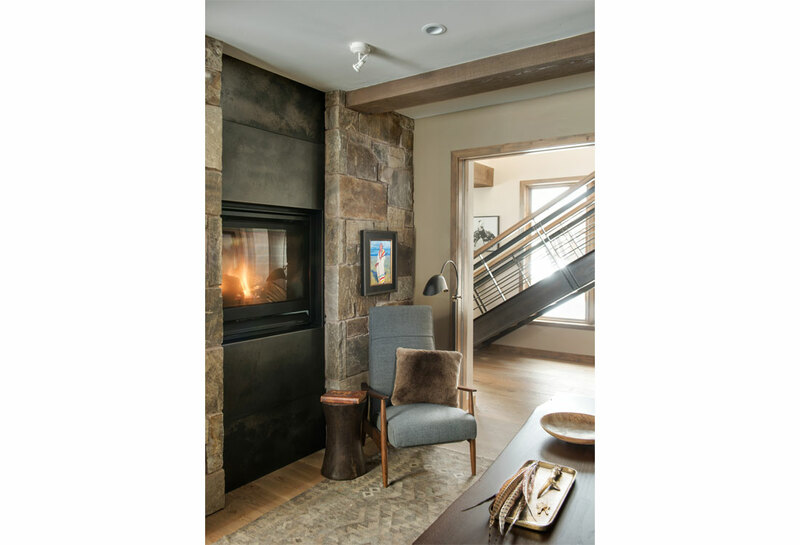 This custom Mountain Modern home was a collaboration between several parties. We would like to thank the entire design team for all of their hard work and collaboration. This includes Big Sky Build, Peace Design, Energy 1, Apex Engineering, VIA, Allied Engineering, and numerous sub-contractors and artisans. The design of this home drew upon historical styles, preserving the essentials of the original movement while updating these elements with clean lines and modern materials. Peers Homestead drew upon the American Farmhouse. The architectural design was based on several factors: orientation with views and connection to seasonal water elements, glass cubes, simplistic form and material palette, and steel accents with structure and cladding. To capture views, the floor to ceiling windows in the great room bring in the natural environment into the home and were oriented to face the Spanish Peaks. The great room’s simple gable roof and square room shape, accompanied by the large glass walls and a high ceiling, create an impressive glass cube effect. Following a contemporary trend for windows, thin-frame, aluminum clad windows were utilized for the high performance qualities as well as the aesthetic appeal. Another design aspect was using simplistic agrarian shapes and focusing on the material palette. The overall forms were brought back to the basics allowing for the material pallet and views to stand out. Simplistic expression was a major drive in the overall composition, with complexity in the details as you experience the home from the exterior or the interior. 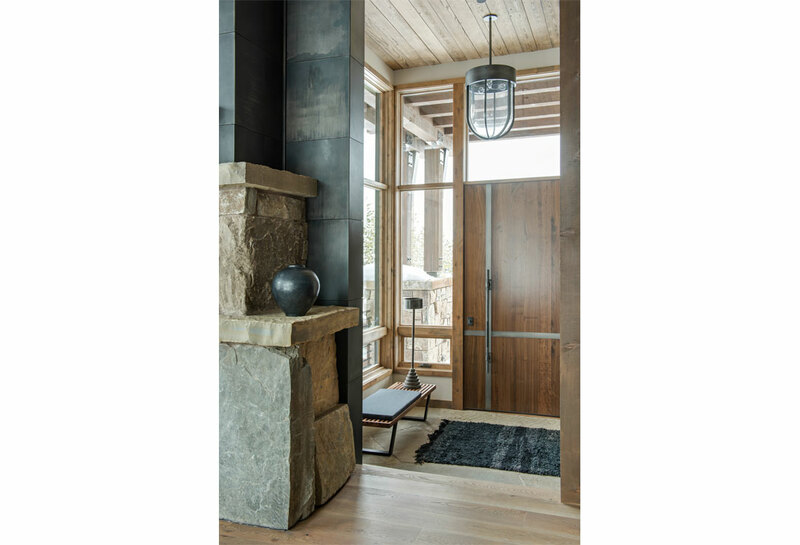 The over-sized front entry pivot door played on the American Farmhouse simplistic, large entry way. Minimizing and concentrating on creating a soft fabric for the majority of the vertical wood siding allowed the structural steel, sheet steel, timbers, and glass to be focalized. Peace Design, interior designer, brought in warm and soft colors to carry through to the interiors with linens, fabrics, woods, and stone. These soft colors allowed the stone, steel, and walnut casework to be showcased. 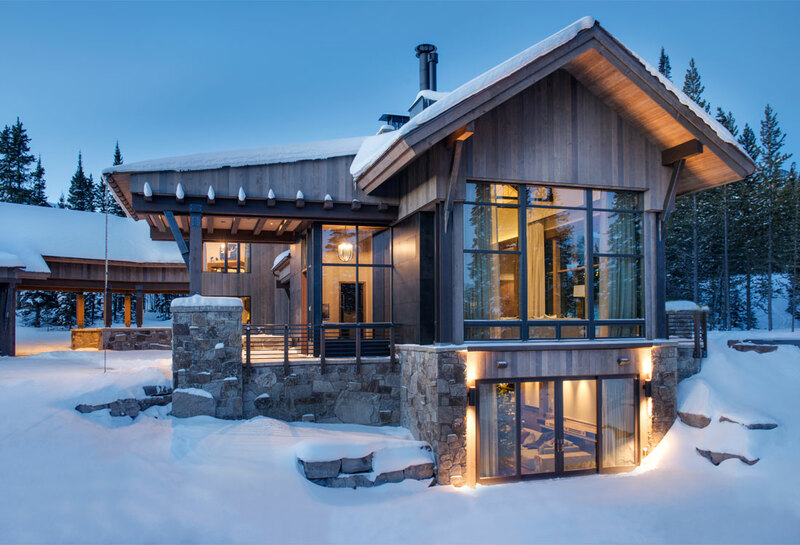 This project was featured in the 2017 Mountain Living Magazine, Home of The Year issue. Click on the link below to view the article.